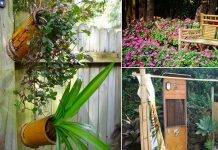 The climbing plants in pots can bring a real touch of nature to any place, and they are a good way to add some privacy, too. These plants will create a nest of greenery where you can relax and rejuvenate and harbor in the mild soothing fragrance and lively colors. 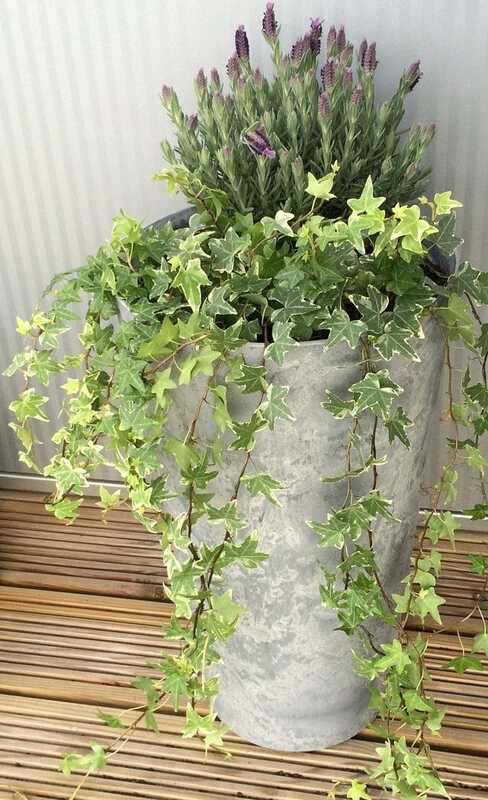 Ivy is one of the best climbers for containers. Its ability to adapt to all types of position makes it an excellent choice for beginners. It can grow up to 80 feet high, and its evergreen foliage remains green even in winters. Plant it in a container that is wide and shallow rather than narrow and deep. Morning glories are a good option and one of the best creepers or vines for containers. This old-fashioned plant is easy to grow. 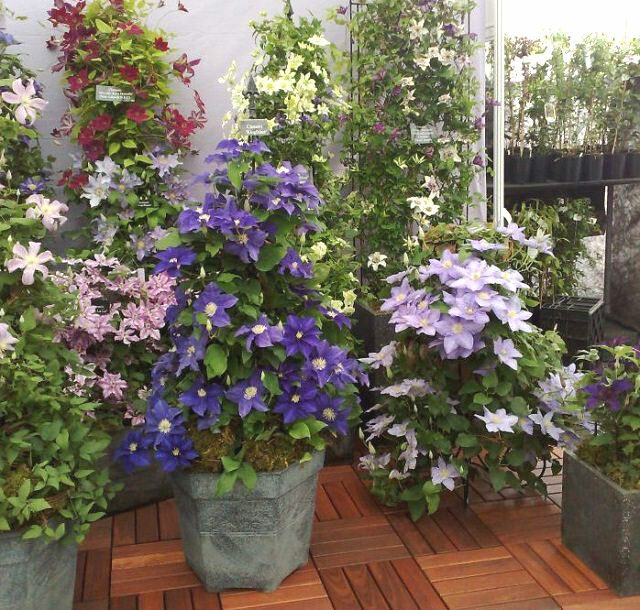 Clematis is the perfect plant to add vertical height and interest to any container garden. Plant clematis in a large container. Fertilize this plant regularly and make sure to always water it thoroughly and deeply. 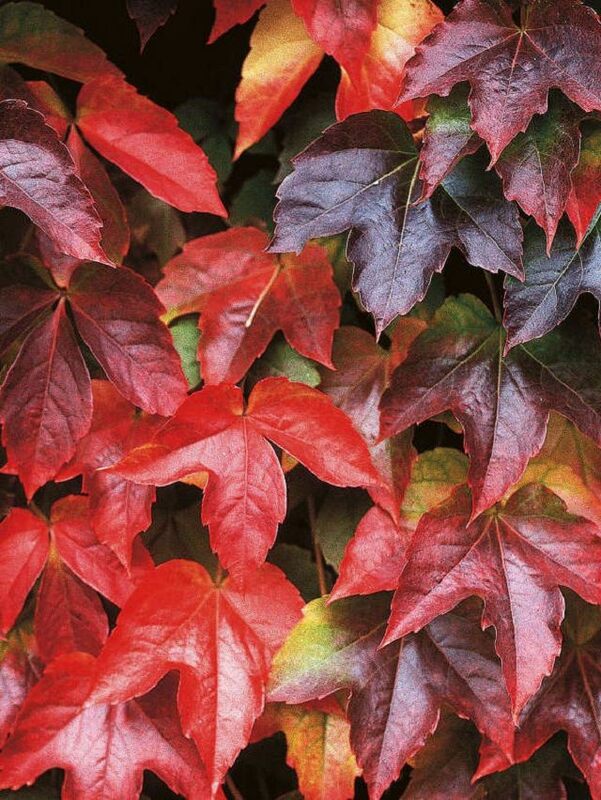 Virginia Creeper’s foliage turn into a beautiful red in the autumn. You can also grow it in a pot, even on a balcony. It improves privacy! To grow this, find a really big container and provide sturdy support of a trellis. 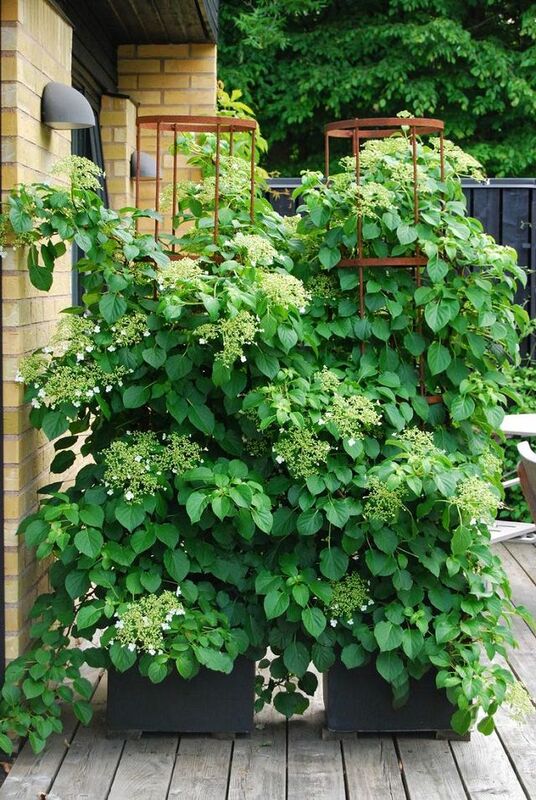 Climbing hydrangea is a great option, if you live under the USDA Zones 5-8 and have a lot of room as this vine can grow up to 70 feet long. It is shade tolerant and thrives best in semi-shaded positions. This plant needs a large pot of about of the size of the half of a whiskey barrel. This big (up to 40 ft.) and a fast growing vine is considered as a weed in some parts due to its invasiveness. Despite the fact, this plant is famous for its trumpet-shaped flowers that come in shades of yellow to red and attract hummingbirds. 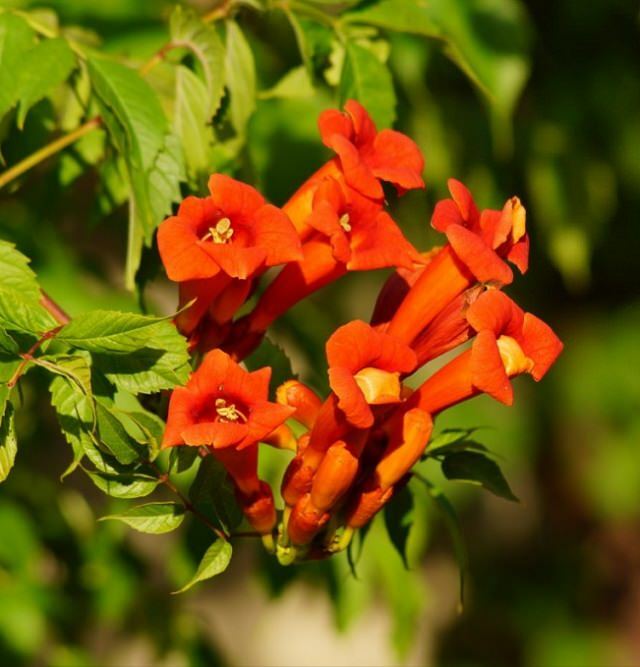 Trumpet vine is more suitable for warm temperates, still it can acclimatize and grow in cooler regions if the protection from cold is provided in winter. The bougainvillea is not a vine but a climbing shrub, it is easy to grow, colorful and controllable. You can grow it to give a tropical touch to your container garden. 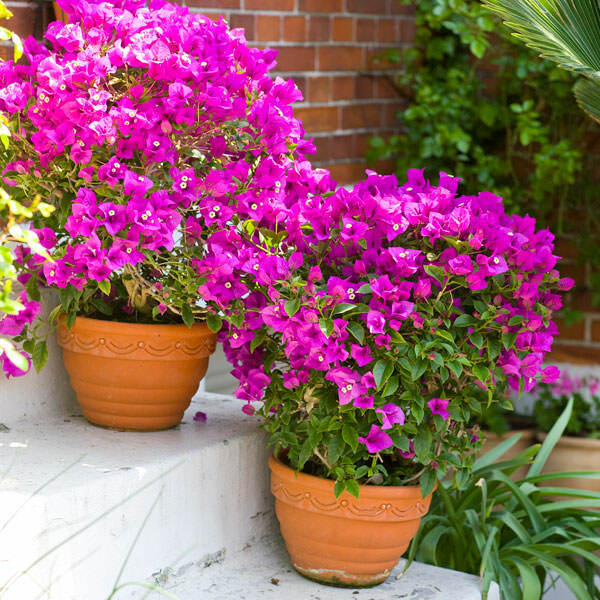 As bougainvillea is a tropical plant, the protection in winter is required in temperate zones. There are about 180 different varieties of honeysuckle available as vines and creepers and can be grown diversely in a variety of climates (USDA Zones 3-11). Most of the honeysuckle varieties are evergreen in warmer climates. 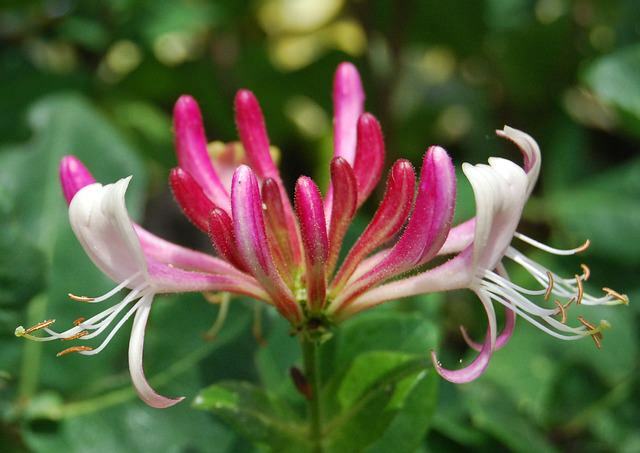 When growing honeysuckle, place the plant in full sun and do a regular watering. Occasional feeding with balanced fertilizer is enough. Wisteria is one the most popular vines and it grows best in moderately cool climate. 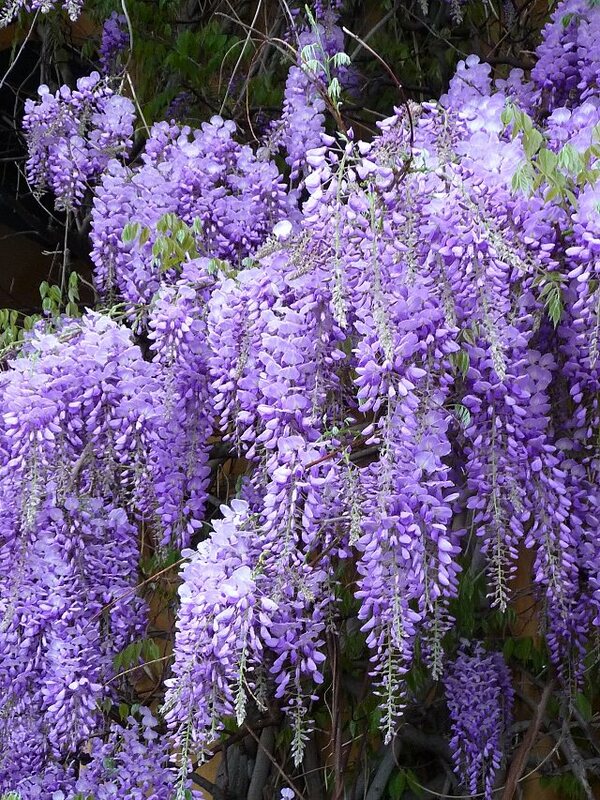 It can become huge, however, by providing solid support to the wisteria vine and some space you can grow it in a container, too. Also, it is required that you transplant this plant time to time into one size bigger pot. You can learn how to grow wisteria in a pot here. Truly the most fragrant flower. Even its heady fragrance is sometimes too much for some people. The Jasminum Officinalis is easy to grow in containers and requires well-draining soil and warmth (hardy in USDA Zones 8-11) to thrive. 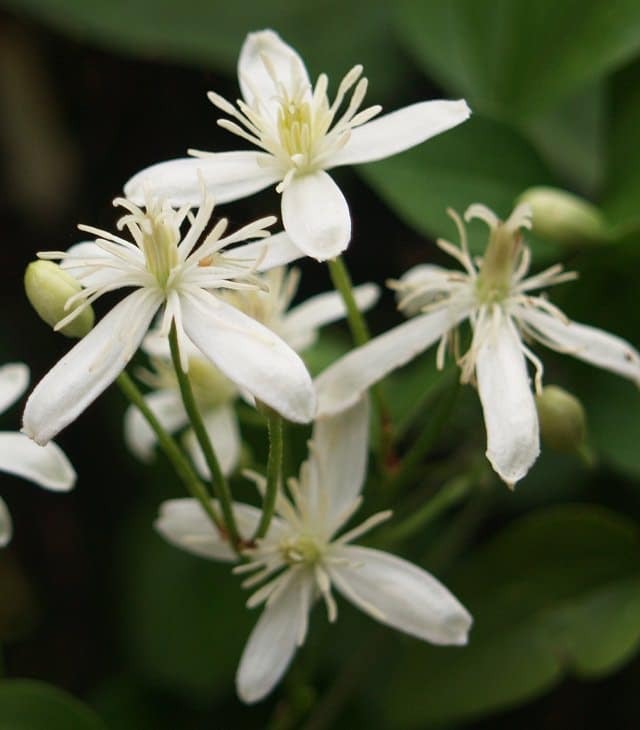 The plant usually blooms in summer but in tropics, jasmines are evergreen and in flower most of the year. Confederate jasmine is a robust plant. It has moderate watering needs and doesn’t mind the hot and humid weather. 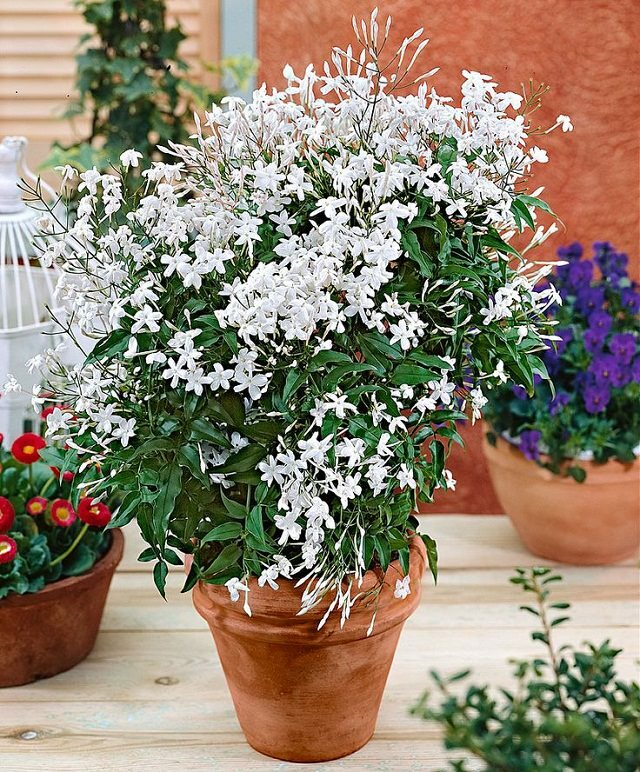 Similar to other jasmines, it also likes warm climate and exposure to the sun. The beautiful star-shaped flowers appear in clusters. 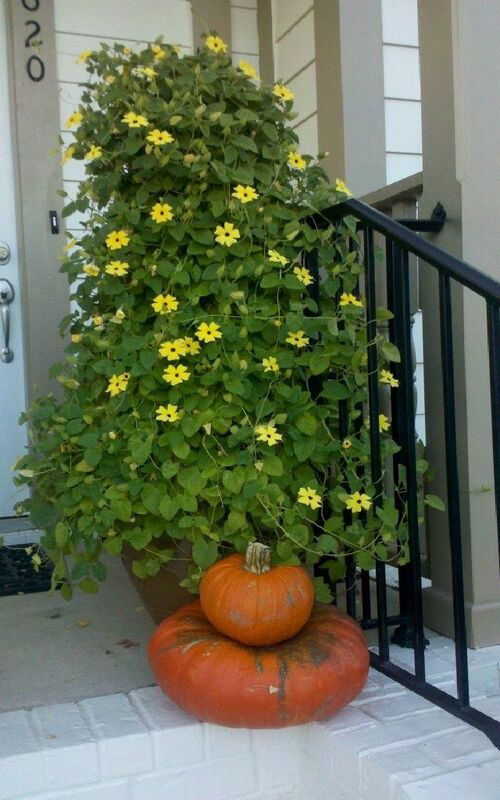 This vine is suitable for containers as it only grows up to 20 ft. long. Climbing roses bloom prolifically, many varieties have a pleasant rosy scent. Consider the overall mature size of the variety that you are going to grow and the time you can devote to it, as roses require care and maintenance. Prune the plant on time and regularly remove the faded flowers to keep it in an attractive appearance. Mandevilla is an eye catcher. With proper care and an optimal location to enjoy the graceful, funnel-shaped flowers of this plant appear all summer. 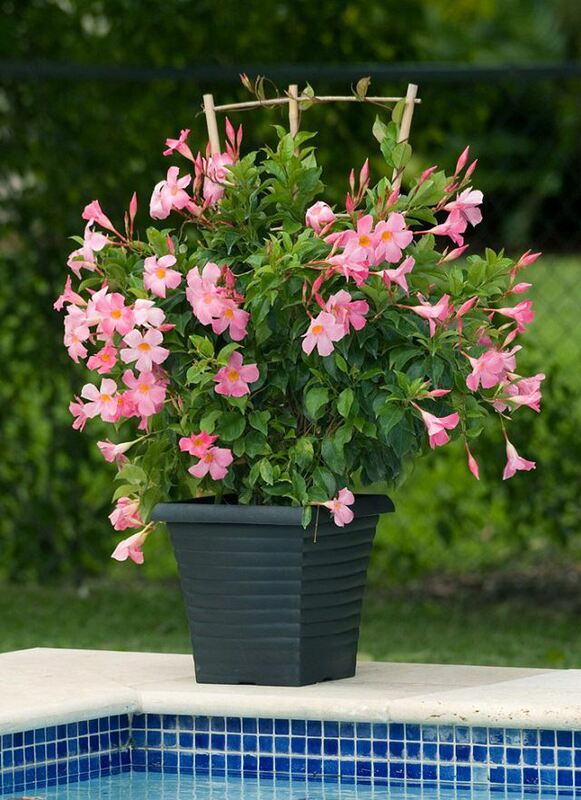 However, Mandevilla requires warm climate to thrive but you can still grow it as an annual in cooler zones. 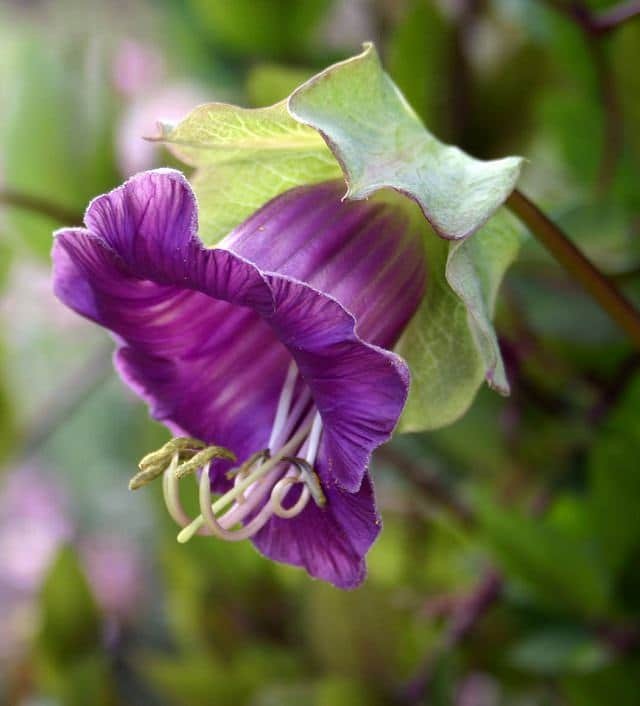 Cup and saucer vine is a fast growing abundant flowering plant that is native to Mexico. It blooms prolifically but to do this the plant needs an optimal bright location. In temperates, you can grow it either as an annual or protect the plant from winter by keeping it indoors. One of the most beautiful privacy protection plant for a container garden. 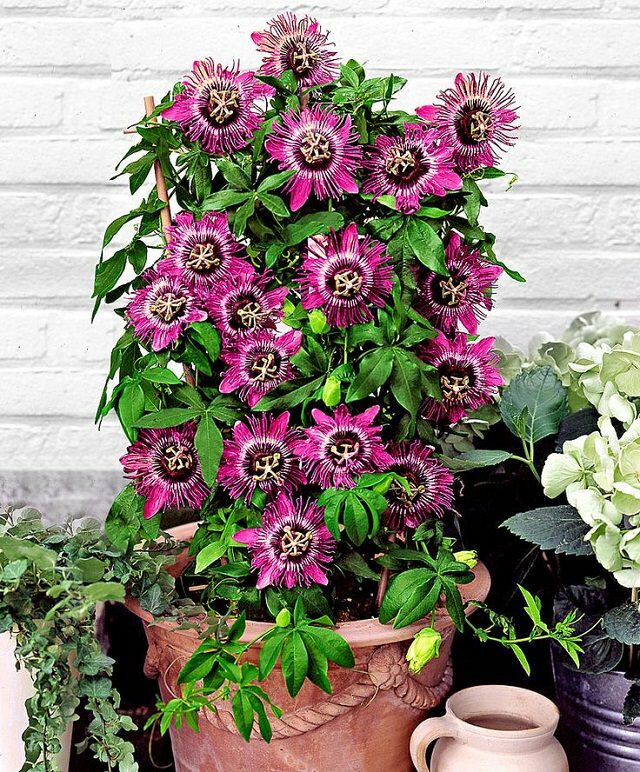 If you prefer an exotic flair and extraordinary flowers, the passion flower is a right choice for you. It is important that you provide it sufficient sun. The passion flower is slightly frost resistant, but it should spend its time in a favorable spot in the winters. Black-eyed Susan is a perennial vine that requires a sunny place and a trellis to climb on. 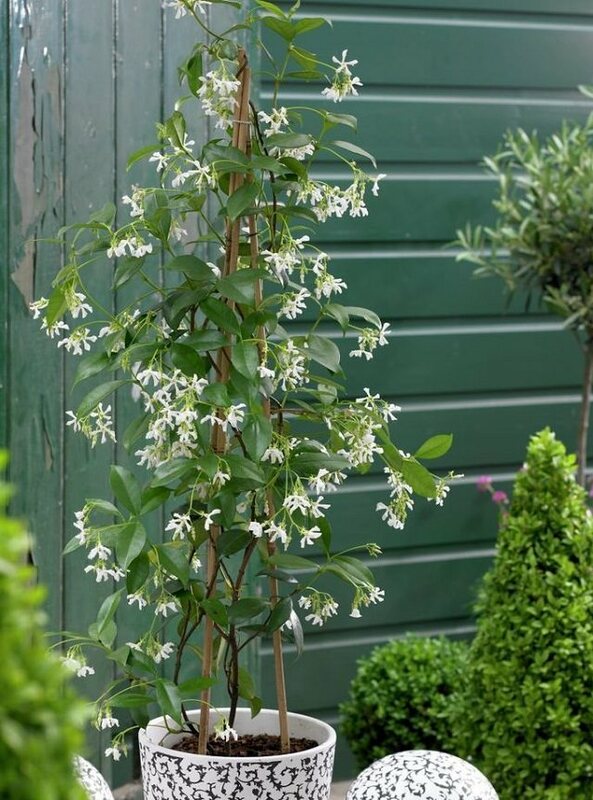 This period flowering climbing plant can reach a height of over two meters with good care! Thus, the Black-eyed Susan is ideal if you want color and privacy in your container garden. 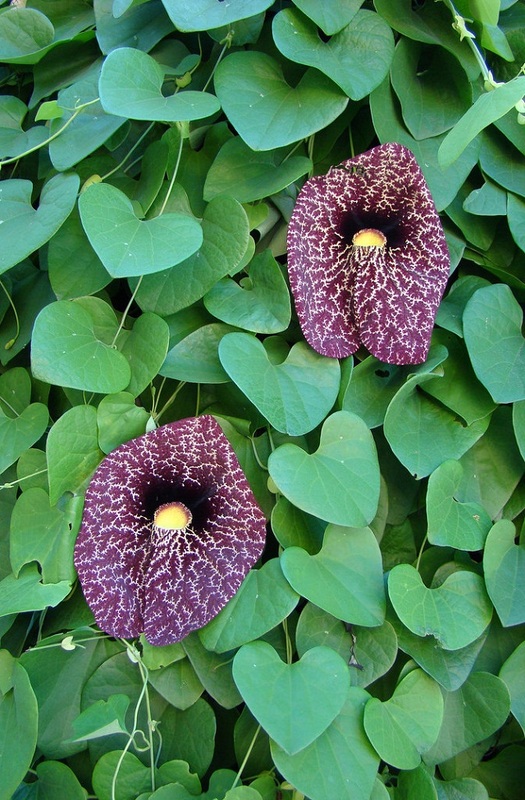 If you are looking for an unusual plant for your container garden, plant the dutchman’s pipe. The lush, large and heart-shaped foliage also provide interest apart from flowers that have a mildly unpleasant odor. Growing this unique plant as a perennial is only possible in warm subtropical or tropical climates. Everywhere else (as the plant is not frost tolerant) it must be grown in a greenhouse or indoors. 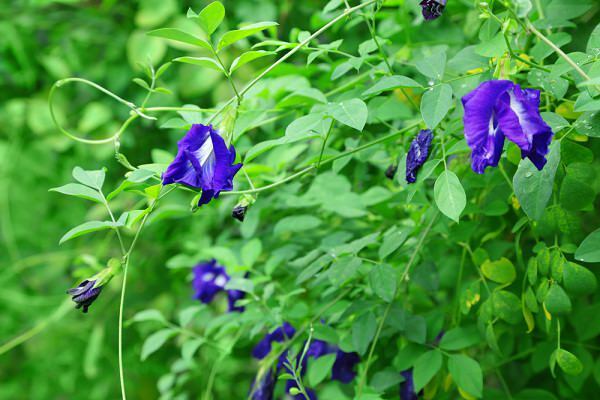 Butterfly pea is a tropical vine and grows best in USDA Zones 10 and 11. In a cold temperate zone, grow this perennial as an annual. 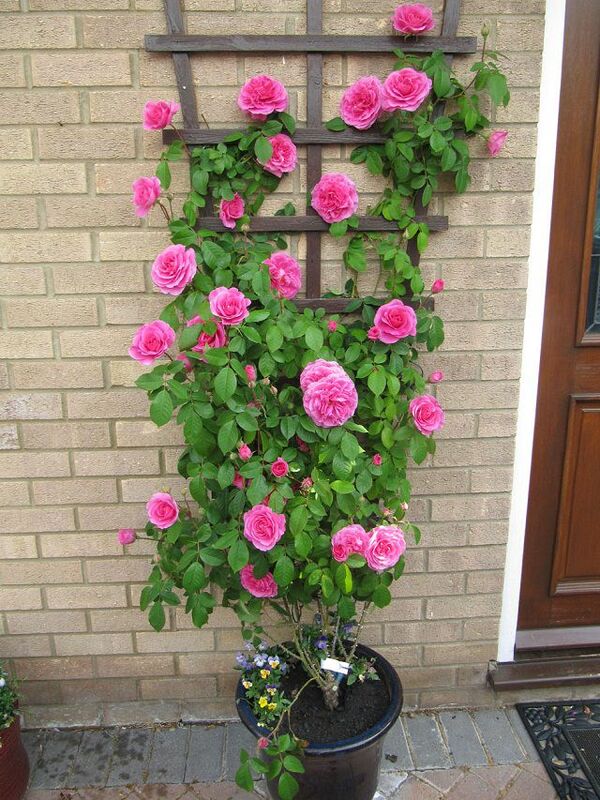 Plant it in a medium to a large sized container with a trellis to climb on from the initial stage. 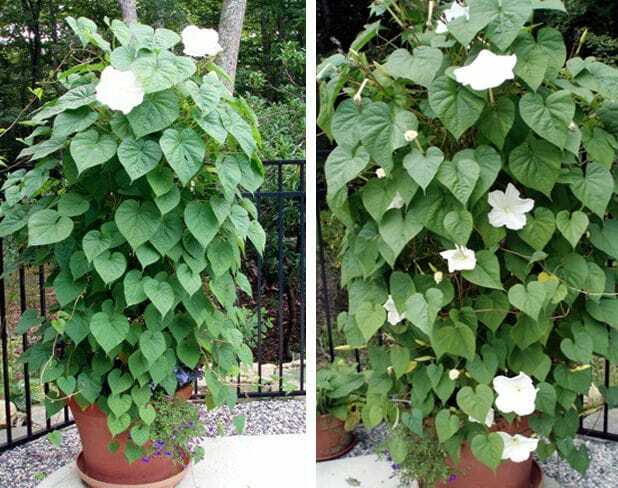 Moonflower is a fantastic night blooming plant with large trumpet-shaped fragrant flowers. 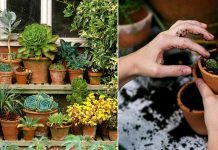 Place the pot near your patio or bedroom window to enjoy its fragrance in the night but make sure the place receives morning sun and light afternoon shade. Deadhead or remove the spent blooms to encourage more flowers. Asarina, which is also known as climbing snapdragon is perfect for growing in containers as it seldom exceeds the height of 8-10 feet. Many hybrid cultivars are available in the shade of different colors. You can also use this vine in hanging baskets or as a groundcover. Asarina is more a warm climate plant and often grown as an annual in temperates. Let this annual vine ramble up on a trellis, and it will award you with its showy yellow flowers that look unmatchable. 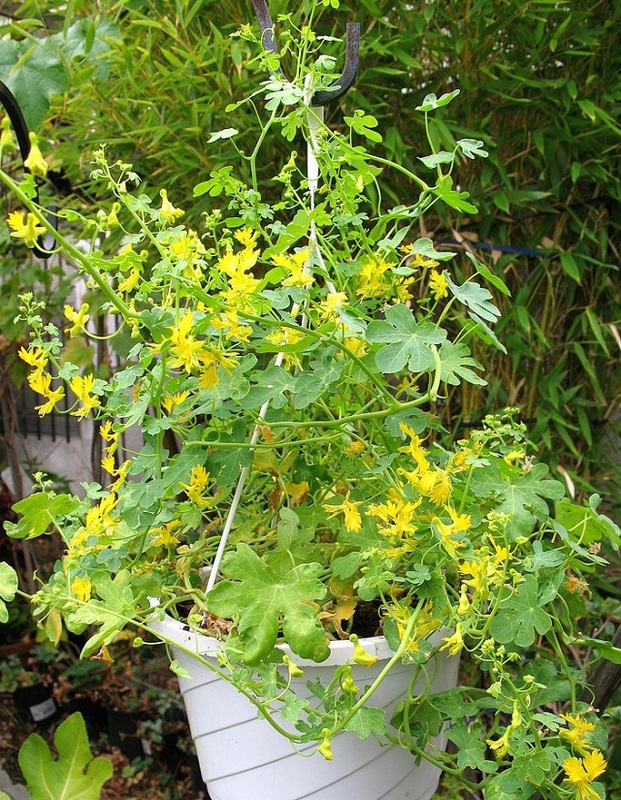 The canary creeper has long blooming period from summer to fall and even more in warm subtropical regions where it is perennial (USDA Zone 9 and higher). Grow sweet peas in warm zones in fall and winter. 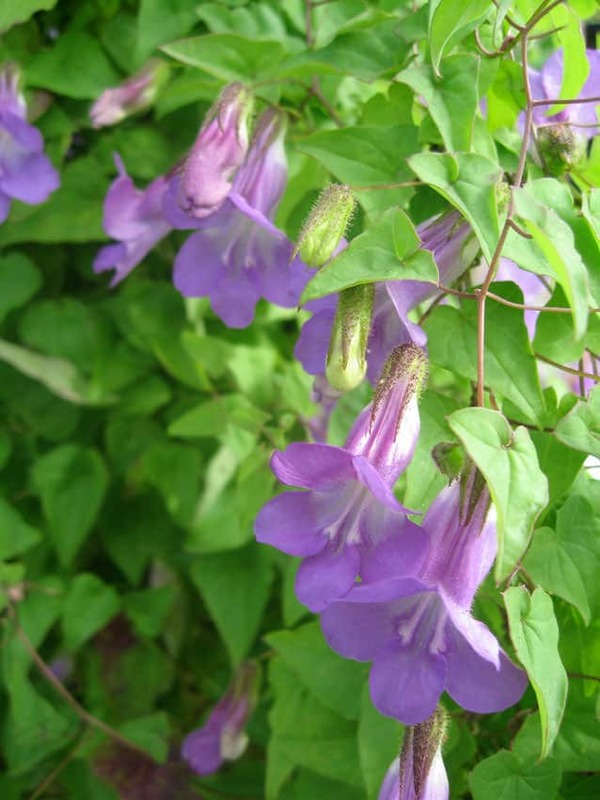 In temperates, plant this fragrant vine in spring or summer. When growing in containers choose bush type varieties. Sweet autumn clematis vine forms masses of amazingly fragrant flowers from late summer to fall (autumn). You can grow this vine diversely in both the cold and warm climates (USDA Zones 4-9). Also, in subtropical and tropical climates if shade from afternoon sun is provided. 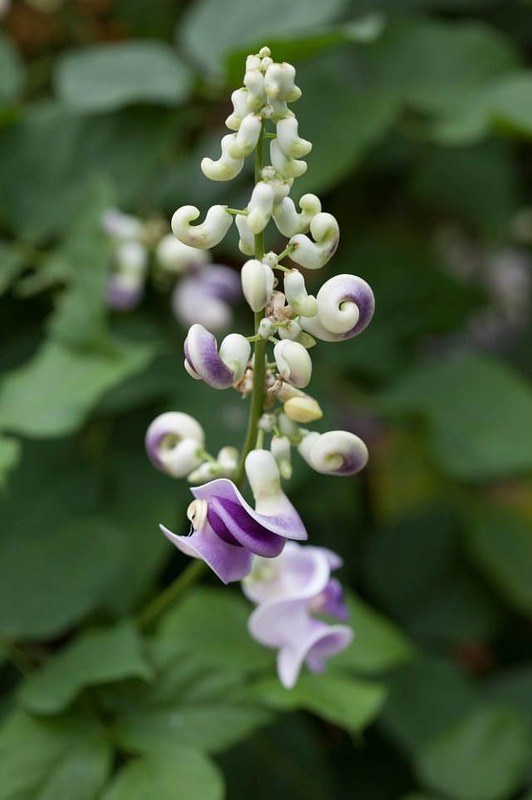 This beautiful tropical vine has rare snail-like fragrant flowers that are white in the beginning and later unfurl to lavender pink. However, it’s easy to grow snail vine in non-tropical zones, but the plant dies in winter and returns again in the spring. Some lovely suggestions there. I am a huge fan of the scented snail vine for around patios, and also climbing rose Zephrine Droughin which is the only true thornless rose and has the added bonus of being very fragrant. There are a few (morning glory and cup and saucer vine and certain varieties of clematis) that are banned in our country of New Zealand as our climate is too temperate to cause die-back and so they seed too freely and smother our native forests. I have 4 cats and wonder if any of these vines are toxic to cats and dogs and children. 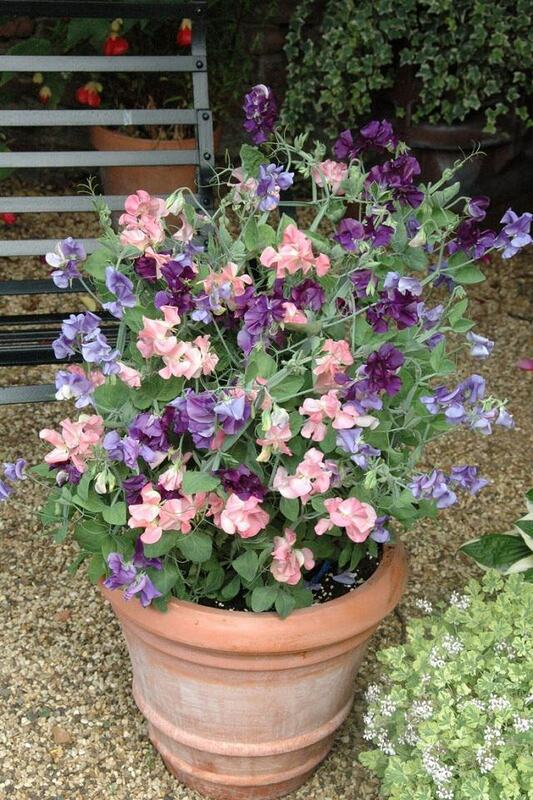 Your area will love sweet pea or passion flowers. Happy growing!! Watch out for the Virginia Creeper. It affects somed people like Poison Ivy. Can you suggest how to make your vine grow around a basket? My plant is in a pot, I live in rented house and don’t want to leave it here in case.. Its honeysuckle I think, we call it madhabilata. Please tell me the material best for the basket, plastic or metal or bamboo and caring for the plant after its wrapped around the basket. Thanks a lot for your time. You can also use these climbing plants as a decoration to make your house beautiful. The clematis are so beautiful! I would love to grow some of them in a pot with something purple. It’s pretty cold where we live, so I guess it could be an indoor plant in winter.